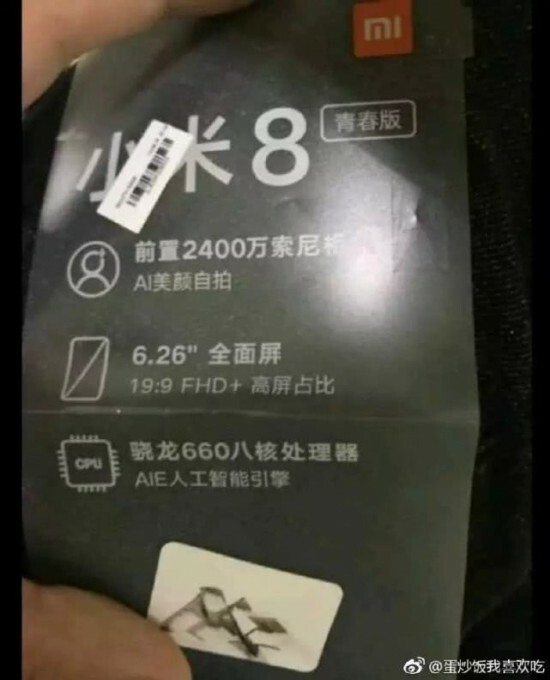 We are just a day before the official unveiling of the Mi 8 Youth and a leaked retail box has surfaced online suggesting that we've been wrong about the SoC all along. Initial reports claimed that the Mi 8 Youth would arrive with either Snapdragon 710 or 670 with the former being a more plausible option. However, the retail box shows a Snapdragon 660 is going to sit behind the wheel. Interestingly, the source claims that this is a retail box for the Taiwanese market, which could very well mean that the Chinese or the global version will end up with the rumored SD710 or SD670. We will know for sure tomorrow. Why they still doing notch display on youth version? A non notch display,bigger bettery with fm jack. Maybe add multi colored led notification too.